My latest essay for IMAGE Journal‘s “Good Letters” blog at Patheos.com is now live. Read it here. It’s about found treasures (vinyl ones—not golden ones, all you Spanish explorer wanna’bes! ), underground ’80s Christian pogo-punkers Undercover (see below), the extinction of dinosaurs and record stores alike, coelacanths, and a little local flavor in the form of Lawrence’s own beloved record store, Love Garden. 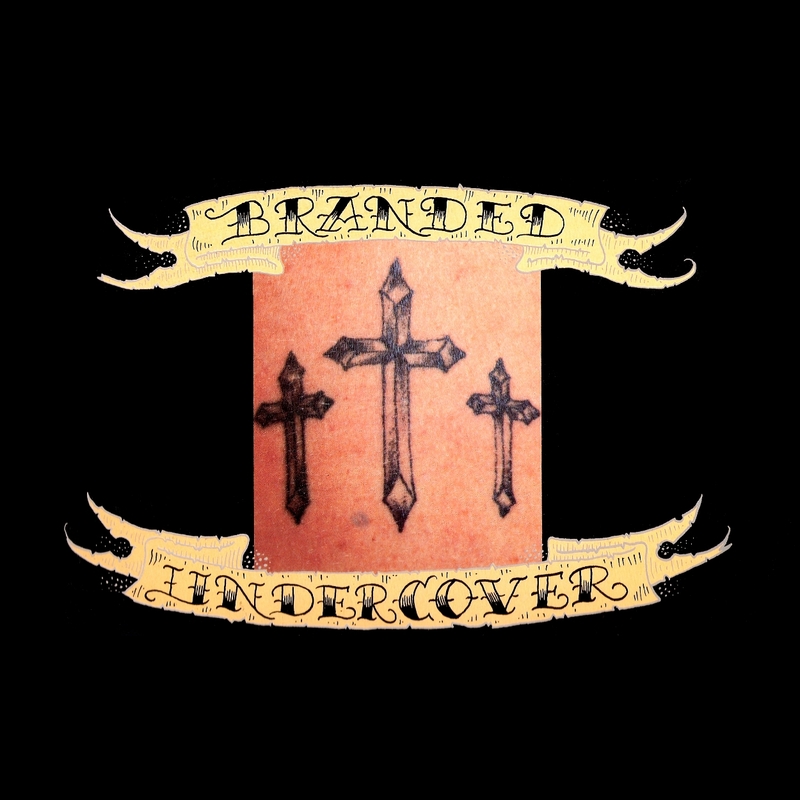 The discovered vinyl treasure, Undercover’s Branded album, can be downloaded or purchased on CD here. It can be listened to in its entirety on Spotify here. I should warn you in advance, however: It is an artifact of the ’80s, so do not be surprised when it sounds like an ’80s record. Beneath the plastic production veneer is an album propelled by a human heartbeat. Also, writer Bert Montgomery recently interviewed Undercover mastermind Ojo Taylor. The story, a piece titled “From Christian Punk Rocker to Agnostic Professor,” is available at the Huffington Post here. Be sure to click on the links to Lawrence, Kansas’s two renowned record stores (below) as well. Keep record stores from becoming extinct by purchasing records locally! To the members of the band: Sim, Gym, Ojo, and Gary, I hope you find this a fitting tribute. I only had 1,000 words to write about how your work has impacted me, and it hardly seems like enough. Thank you for giving a pre-teen a mystery to ponder in 1990. “As a Lawrence, Kansas resident, I am proud to live in a place where record stores are not extinct. The MP3 meteor that impacted the music industry over a decade ago left behind the skeletons of stores that once thundered with music—stores that bridged the gap between my childhood love of dinosaurs and music that likewise shook the Earth.